In 2012, GQ magazine rated James Alefantis (owner of comet ping pong) the 49th most powerful man in washington. 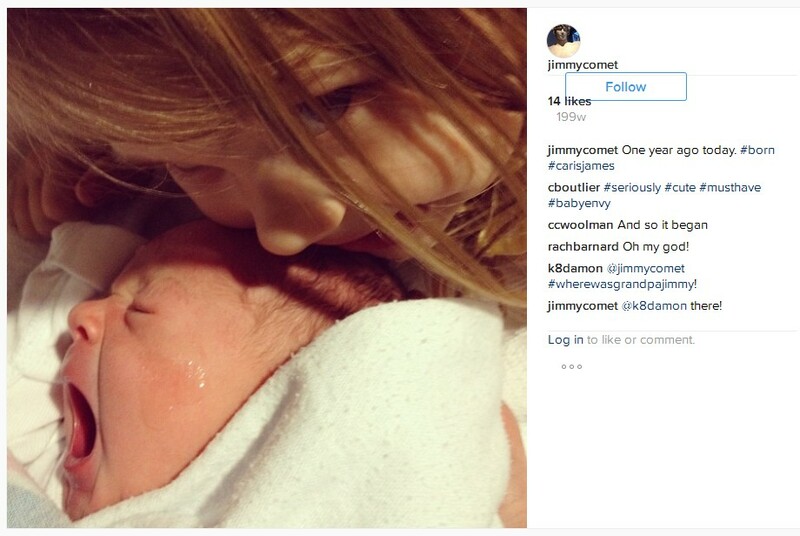 His instagram ID is/was “jimmycomet”. Pictures can be downright deafening, but the comments are nearly as telling as the photos. Something I just noticed, in the image at https://i.imgur.com/DB1JK1D.jpg there’s a faint outline of a heart on the baby’s cheek. Also some kind of shiny substance or blistering. Has this baby been branded? Of course not. That’s crazy. This is so sickening, now you know why I haven’t posted much of this stuff on TCR. It hurts to look at it. Previous PostReprise: MSM Reporter Ben Swann Goes Dark After Pizzagate ReportNext PostCrazy Speculation: Is Wolff’s Book a Key to Cracking the Newest Wikileaks Torrent?